FURminator White Coat Ultra Premium Shampoo for Dogs is enriched with vitamins and natural oils that enhance the shine of your pet's coat. This premium shampoo is made without the use of parabens or chemical dyes to provide a monthly solution that keeps your pet's coat white and shiny while also working to reduce excess shedding. FURminator White Coat Ultra Premium Shampoo for Dogs is safe for topical use on both cats and dogs over 6 weeks of age. This shampoo is made in the USA to ensure its quality and comes in a bottle that contains 16 fluid ounces. 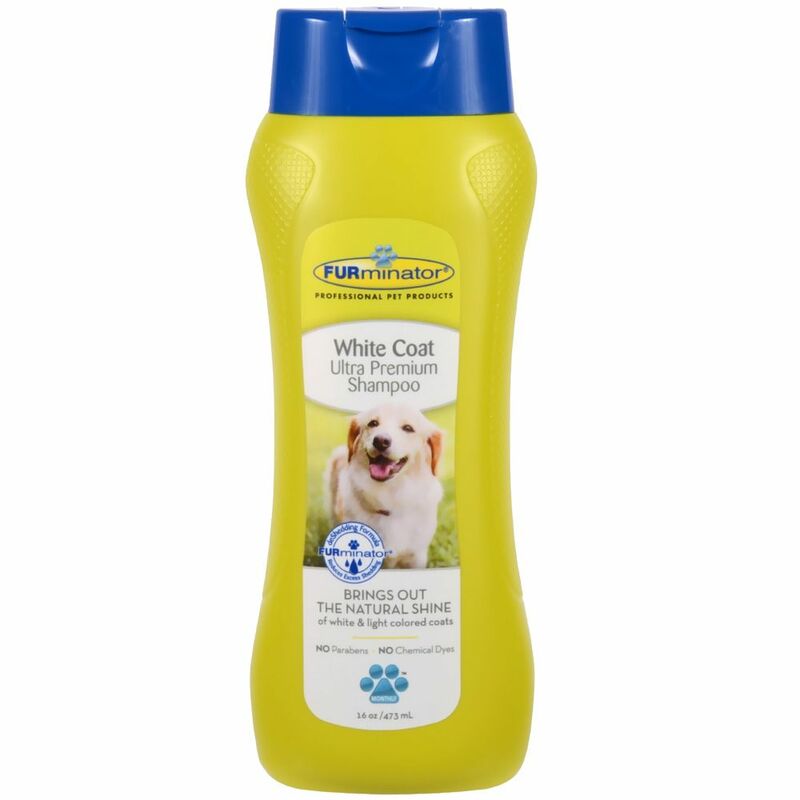 Keep your pet's coat white and fluffy with this premium shampoo from FURminator and grab your bottle today! Contains: Water, mild surfactants, Omega 3 & 6 fatty acids from cranberry, sunflower and safflower seed oils, juniper fruit and birch oil, extracts of calendula, papaya leaf, chamomile, malva flower, blueberry, aloe vera and kava, vitamin B5 and E, hydrolyzed wheat and oat proteins, fragrance, preservative and salt. Shake well before use. Wet coat, apply and lather shampoo over entire body, allowing 5 to 10 minutes of contact. Rinse thoroughly. Repeat process as needed. For best results, follow with the FURminator deShedding Ultra Premium Conditioner.